Happy Birthday Movie Review: The debut Sandalwood actor Sachin’s Happy Birthday is now on Silver Screen. Samskruthy Shenoy is featured as a Female lead role. The Hero of this film, Sachin is the son of Cheluvarayaswamy. His Father is the Former Minister of Parliment. So, the movie launch event was conducted as a grand event along with many political leaders. They all conveyed their hearty wishes to the Young Hero of Sandalwood. The Happy birthday Kannada Movie has been completed successfully with the great effort of director K Mahesh Sukhadare. The director has chosen Sachin after he observed completely. He found some kind of energy on his face and he decided that he is fully apt on his story. As per his thought, Sachin also shared his energy along with love to his script. Her the movie has released today on this weekend August 25, 2016. Let see the Happy Birthday Kannada Movie Review Rating. The Action Director getting applause for his work on the theaters. Because of the stunts, the debut actor marks his benchmark as the action hero to Kannada Film Industry. Also, he allocated his beautiful space for love with gorgeous Sumskrthy Shenoy. She also a debut actress for the Kannada Cinema Industry. All the Young boys fall in love with her scenes on screen. 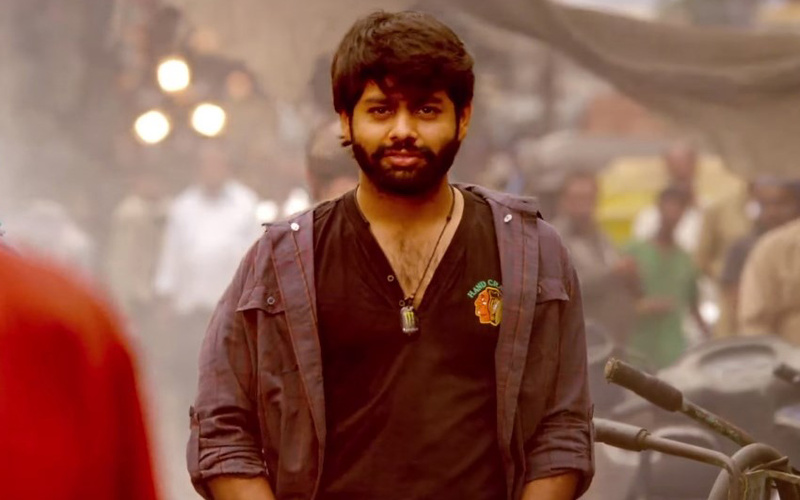 The Hari Krishna’s songs and background scores are the additional boosts for this film. Though, some of the audience need extra additional tones and fair music. The as usual story plot is one of the drawbacks for this film. But, it looks as fresh due to the new faces on the screen. It is entirely for Family audience and also for some Young boys and girls. Dhanalakshmi Cheluvarayaswamy & Bhagya Sukhadare are the financial supporter for this film. Both of them spend a valuable money to treat his Kannada movie fans and people. Suresh Jayakrishna’s lens focused lots of colors and Cheluva Murthy corrected some of his frames by editing. There are links and strong bond with the Storyline and title of this movie. This flick started from the base character of Village. The Mahesh Sukhadare showed his last two films as city life stories. It has little difference on the story plot. The Film title has the tagline as ‘Magane Aithe Ninnage’ in the Kannada language. The story happens in the location of Mandya. Also, the special thing is the director’s native is Mandya, he presented all his special experience and his people culture, the way of Mandya language on his Big screen. It is Action with Love Story Kannada film. The Debut Lead roles performed well on screen and it is the talk of the town. The Karnataka Audience feels and praises all the Movie cast and crew. The Happy Birthday Kannada Movie Rating is provided in the Rating Box here below for 10 points. Happy Birthday Movie starring Sachin, Sumskrthy Shenoy. Lyrics are handled by V. Nagendra Prasad and K. Kalyan.